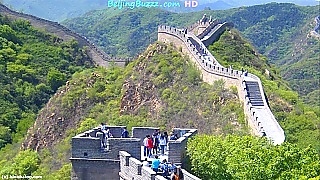 A liitle jet-lagged, our travelers spend a day in Beijing before setting off for other parts of China. 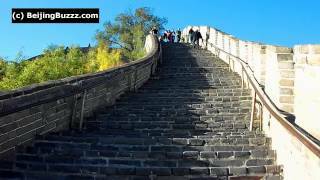 Places visited : Tian'AnMen Square, the Forbidden City (Palace Museum) plus JingShan and BeiHai parks, all within easy walking distance of each other. 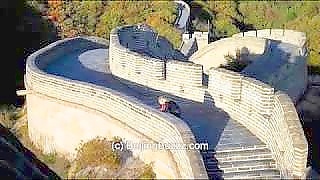 Then it is on to DeShengMen to take the bus to BaDaLing Great Wall of China (one can also take a train from Beijing North railway station, near XiZhiMen). 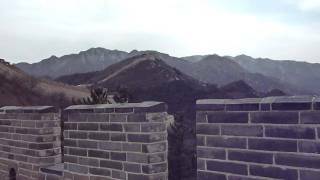 An excellent introduction to the Great Wall near Beijing. 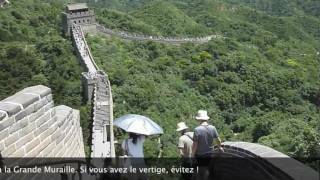 This film looks at the BaDaLing and JinShanLing sections of the Great Wall, with good visuals. On the east side from the main start point, continue past the peak to experience the peace and views seen in this film. 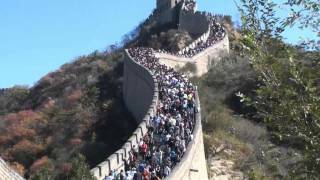 Filmed during the National Day holiday week, October 2009 - so many visitors.